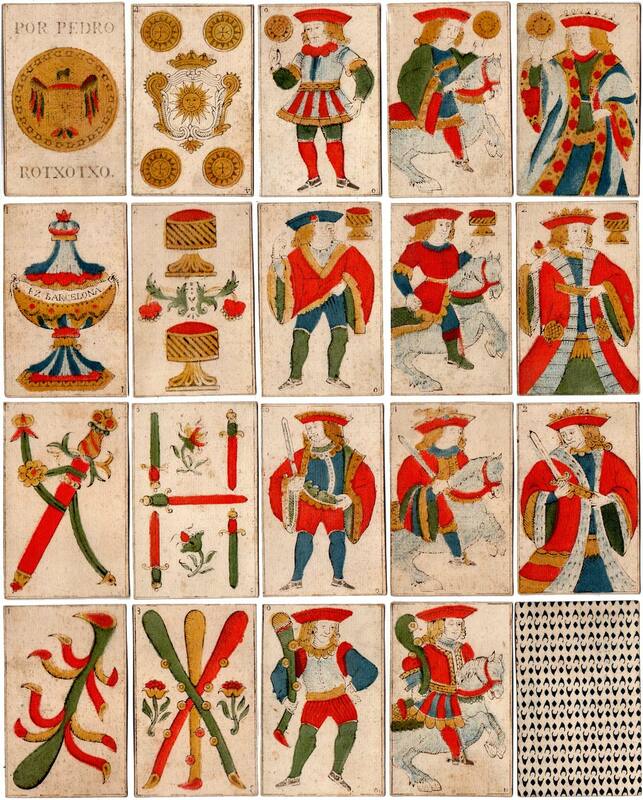 The Rotxotxo family of cardmakers is recorded at the start of the seventeenth century in Barcelona and successive heirs continued to manufacture cards in this traditional design until the early 19th century. The length of the family’s attachment to playing card manufacture undoubtedly contributed to it’s endurance. The pattern became a sort of Spanish national identity and was exported to Spain's colonies and dependencies overseas. 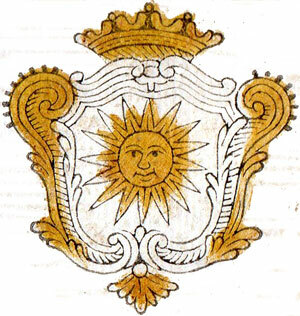 In the late eighteenth century virtually the same pattern was produced under the control of the Real Fabrica de Madrid monopoly who awarded contracts for exporting cards to the ‘New Indies’. Offshoots of the designs are still used today in some North African and South American countries whilst modern Spanish cards can also be seen to derive from this archaic, late-Gothic pattern. Above: standard Spanish National pattern by Pedro Rotxotxo, Barcelona, late 18th century. The cards have small corner indices, a mechanically produced back pattern and there is no “Ahi Va” inscription on the cavalier of cups. 48 cards. Images courtesy Andy Grigg.